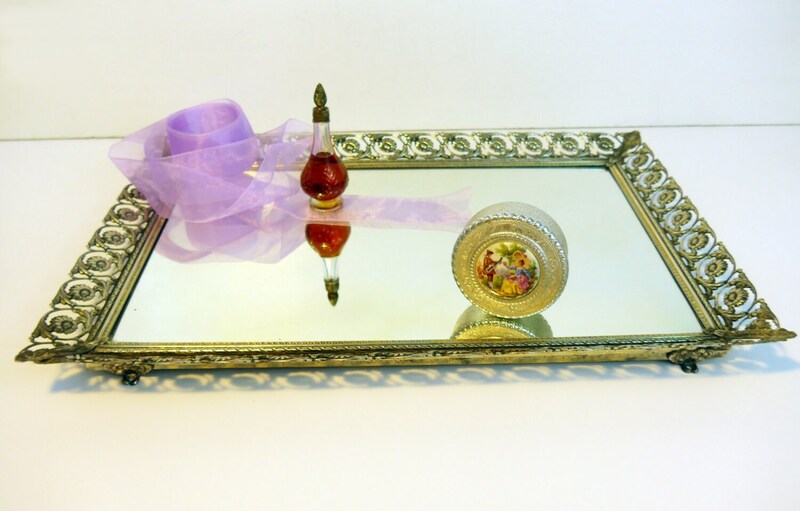 Mid century mirrored vanity trays are such a pretty bedroom accessory for displaying your treasures, perfume bottles, jewelry, or make up. 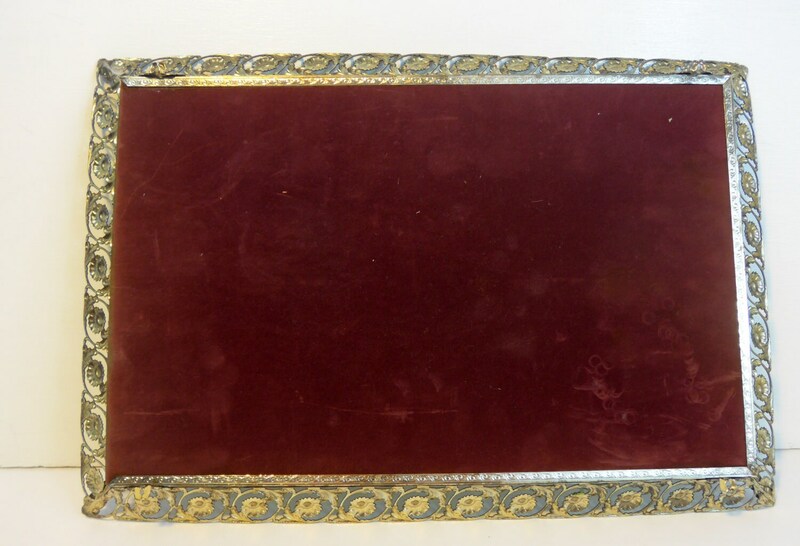 This large-sized rectangular burnished gold tone frame has a beautiful look that works well with both shabby chic and Hollywood Regency decors. This particular tray is a larger size than most. 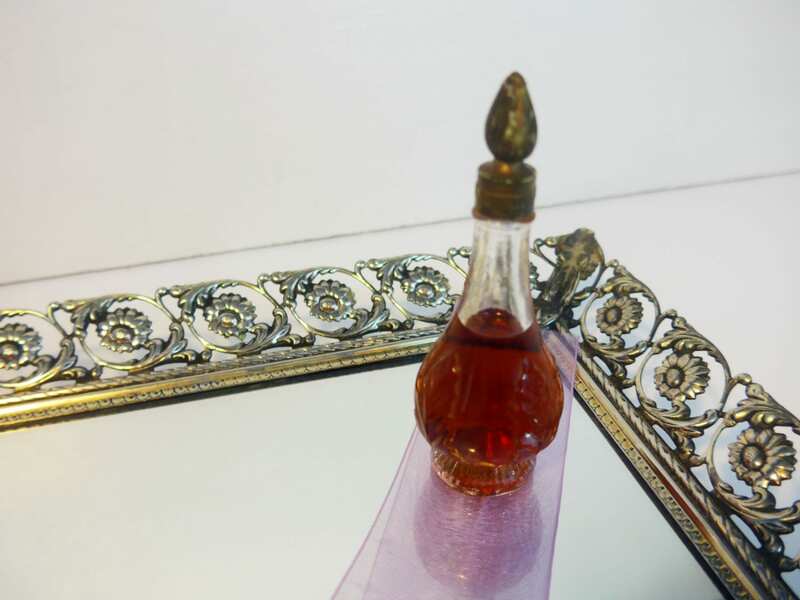 It has a dark red/maroon velvet backing - see last photo. 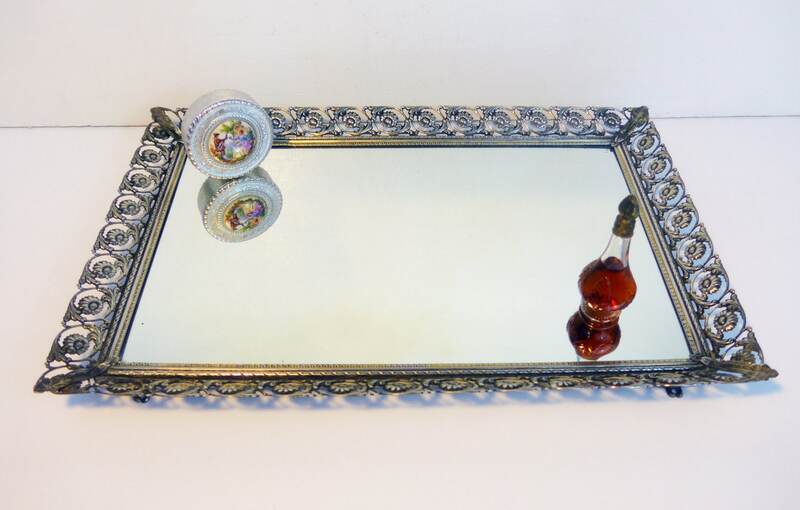 Nice ornate filigree edge that goes all around the rectangular shaped mirrored vanity tray features flowers and round swirl shapes. The four pedestal legs on each corner have little clusters of flowers on them - see photo #3. 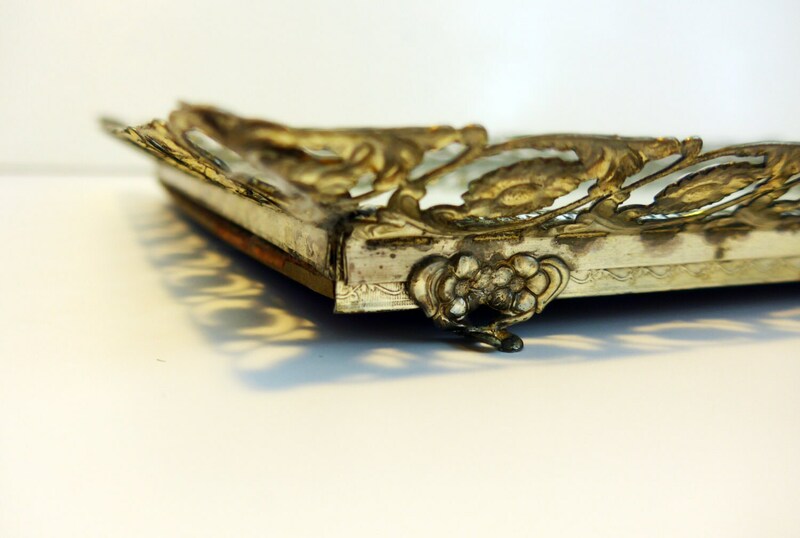 Filigree edges are in nice vintage condition with light wear and some patina as would be expected for a mid century item - see photos. Measures approx. 16" x 11".